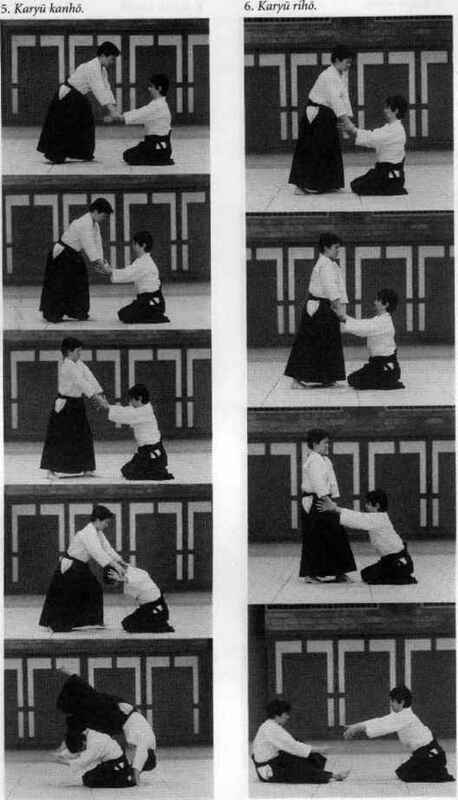 Standing diagonally to forfs right, uke delivers a strike to the head with his right hand-sword. 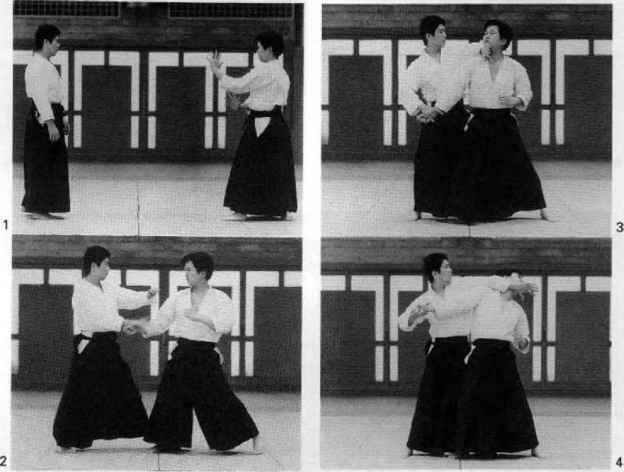 Tori slides in diagonally with his right foot, grabs uke's wrist with his right hand and uke's elbow with his left hand, and pushes uke back and down. Tori then slides his left arm under uke's right arm and delivers atemi to uke's neck with his right hand-sword. 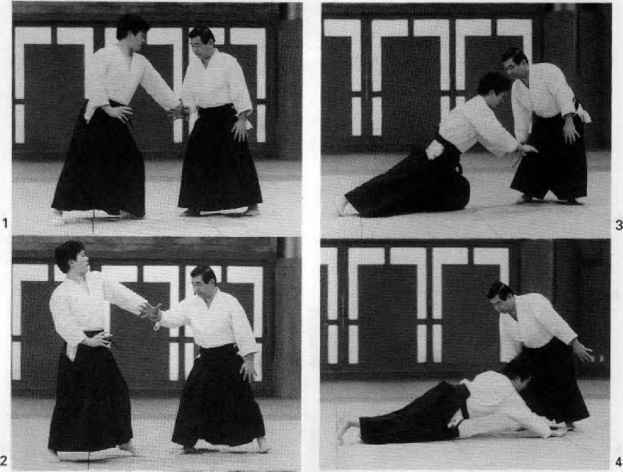 Next, tori presses firmly down on uke's neck with his right hand and slides his left arm in to pin both of uke's arms, as shown. Uke delivers a punch to torts stomach with his right fist. 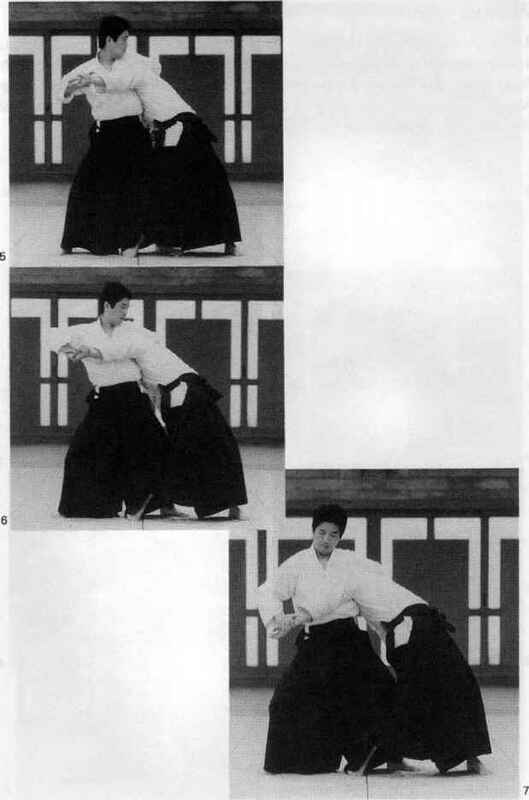 Tori steps out with his left leg, grabs uke?s right wrist at the pulse with his right hand, and pushes against uke's chin with his left hand-sword. 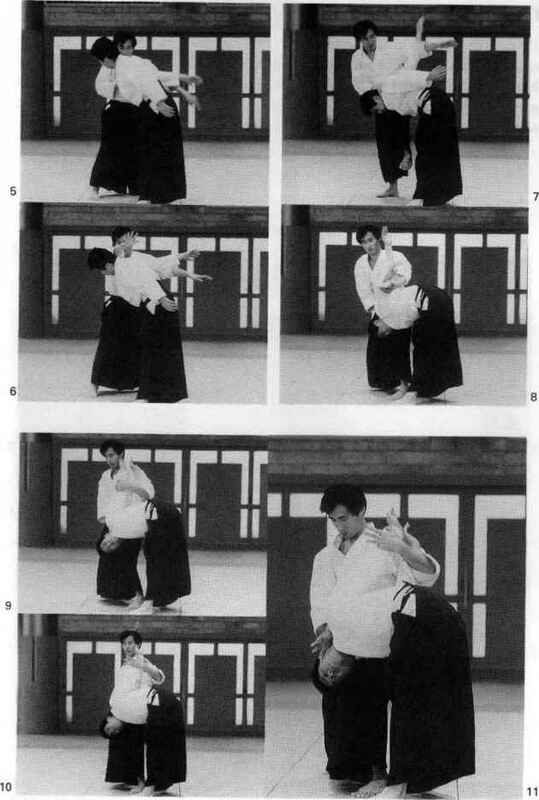 Tori then pulls on uke's right arm while pushing against his neck to stretch uke out in an arc shape. Tori may also wrap his arm around uke's neck and apply a choke hold. Uke grabs ion's right wrist with his left hand. 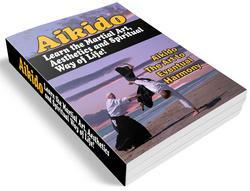 Tori applies aiki-age with his right hand and then steps back, bringing tike facedown to the ground. 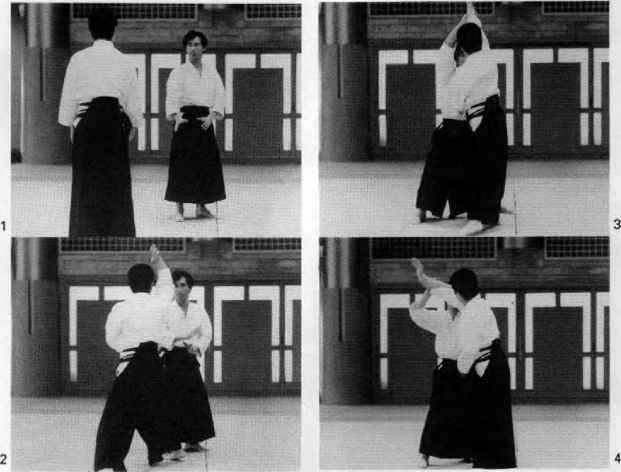 Then tori rotates his right hand-sword until that hand is palm-to-palm with uke's left hand. 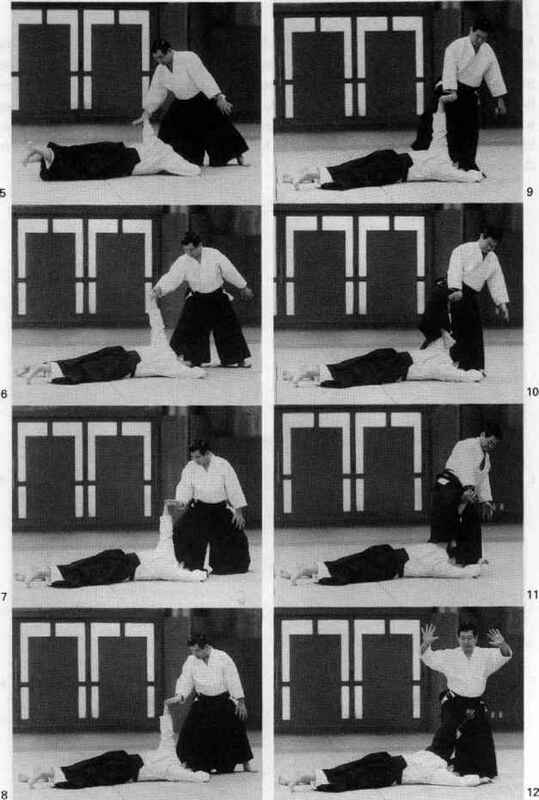 Next, tori swings his right leg around uke's upraised arm, places his foot between uke's neck and shoulder, and applies pressure with his right knee to complete the pin.